RIO DE JANEIRO: Carnival festivities took over Rio de Janeiro on Saturday, as revellers danced and drank at block parties, despite an extended crime wave in the city and a spike in yellow fever cases throughout Brazil. 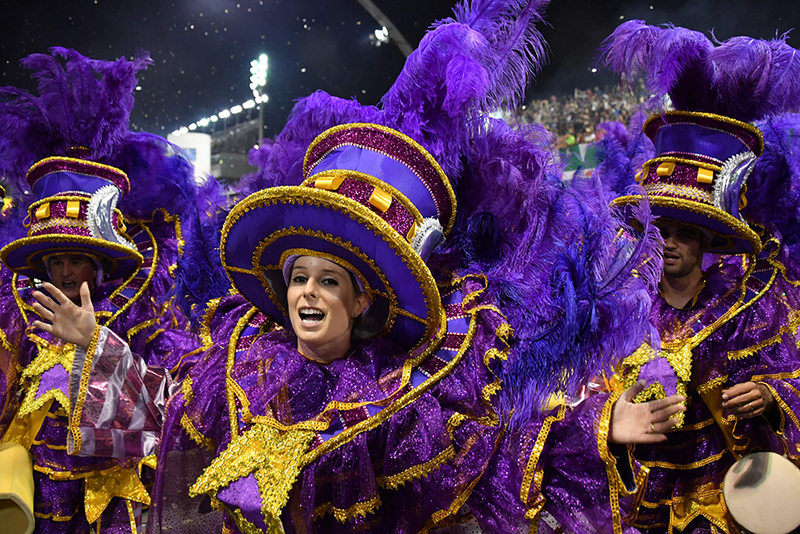 Over 6 million people, including 1.5 million visitors, are expected to take to the streets of Rio for the annual celebrations, which pit the city’s 13 best samba schools against one another in ornate parades that can cost over $2 million (Dh7.34 million) a piece. To launch the ‘world’s biggest party’ on Friday, officials handed a glittering key to the city to King Momo, a figurehead who presides over the partying and who, according to legend, was expelled from Mount Olympus before moving to Rio, the so-called “wonderful city.” But the celebrations this year come amid escalating violence. Gains made after police began a ‘pacification’ programme in 2008, pushing drug gangs out of favelas, have been unravelling. An economic crisis dried up funding, and critics say the government did not make good on promised social advances for the slums. Reports of shootings averaged 22 per day in January 2018, up from 16 last year, said Fogo Cruzado, a group which tracks armed violence in Rio. In recent days, a three-year-old girl was killed in an attempted robbery and a thirteen-year-old boy died after being caught in crossfire between police and traffickers as he made his way home after a soccer game. 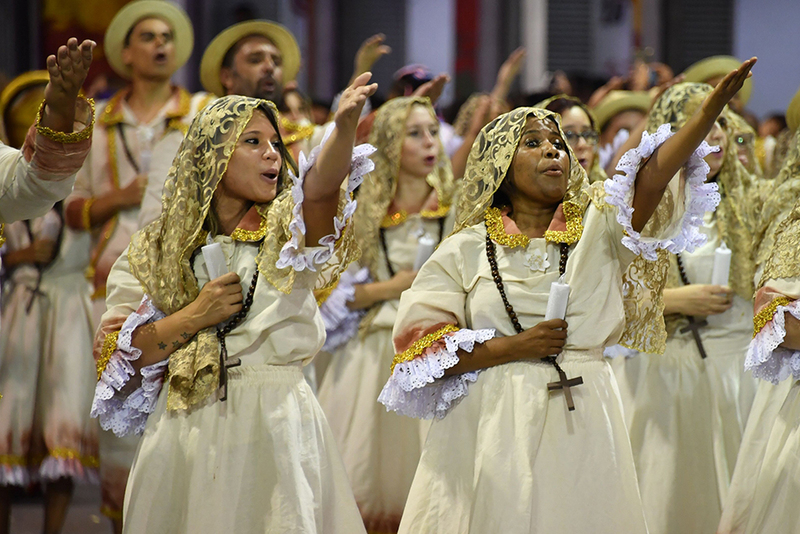 “We live with our hearts torn apart by so much violence,” Rio’s mayor Marcelo Crivella said on Friday at an event inaugurating the festivities. “Carnival at this moment is about resurgence, about hope,” he added. Rio will beef up its police force to around 17,000 for the bacchanalia after the federal government denied a request for troops to help enforce security. Brazil is also battling a spike in yellow fever, a viral disease transmitted by mosquitoes in tropical regions, with 98 deaths and 353 cases now confirmed since July, 2017. The outbreak of the disease, which is still a major killer in Africa but had been largely brought under control in the Americas, has hit the states of Sao Paulo and Minas Gerais hardest. Rio’s state Health Secretary Luiz Antonio Teixeira Junior has recommended that unvaccinated tourists avoid forests and waterfalls, as a massive vaccination campaign was launched in Rio and Sao Paulo. Even so, festival attendees are expected to drop some 3.5 billion reais ($1.1 billion) on the city, with some paying over $1,000 for tickets to watch the top samba schools shimmy down the 700-metre runway at the sambadrome stadium. The festival, whose roots lie in a tradition of carnal indulgence before the austere Roman Catholic season of Lent, officially ends next Wednesday. 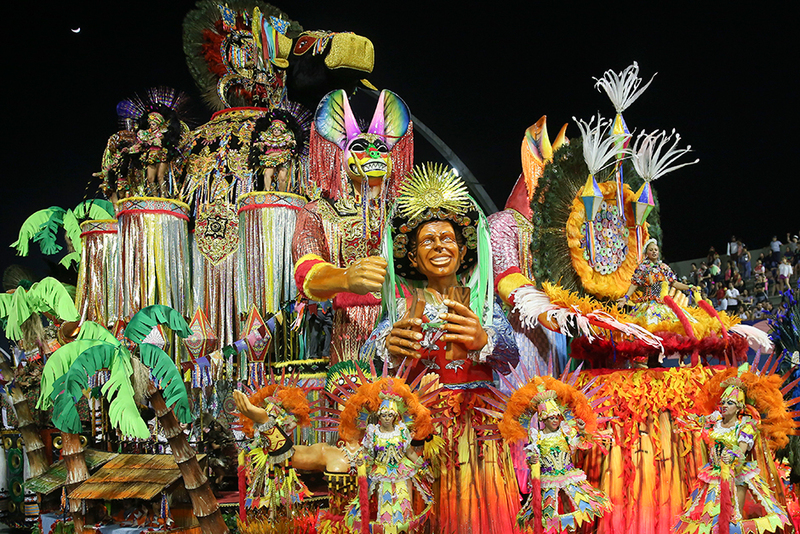 Major carnival parades and other festivities will also take place in other cities, including Sao Paulo, Brazil’s biggest metropolis, and Salvador, a city in the northeast.